Looking at the Lowe’s site from a barrier on Oak Street. One new big box may yet be coming to Albany, but another is closing, the city government learned Thursday. 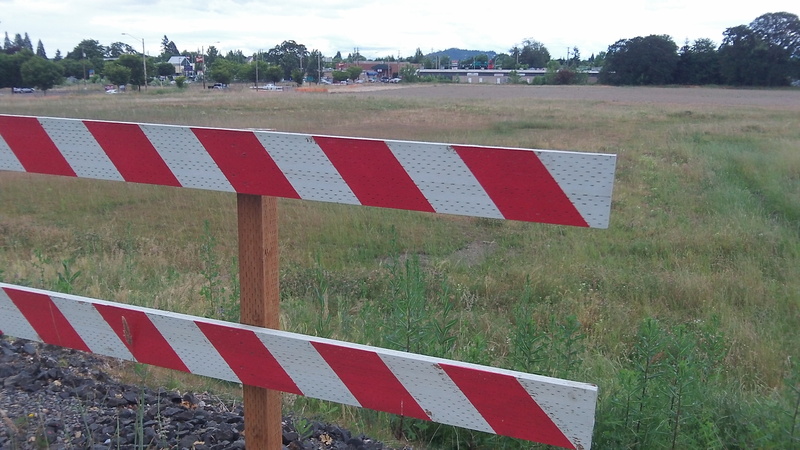 Lowe’s told City Manager Wes Hare it wants to go ahead and build its planned home improvement center at Ninth Avenue and Oak Street, but not till next spring. And the company in charge of K Mart told him the same day that it plans to close its Albany store this September. Lowe’s has a development agreement with the city of Albany requiring it to open its store by the last day of 2014 or pay the city $1,000 per day for every day the opening is delayed beyond that date, up to a total of $2 million if the store never opens. Hare says that if the company wants to avoid the penalty, it will have to ask the city council to amend the agreement. Lowe’s plan for its home improvement and garden center on 12 acres at Ninth and Oak required extensive changes in the street system on which Albany spent about $4 million. Hare got the word about Lowe’s plans from a company official in California. 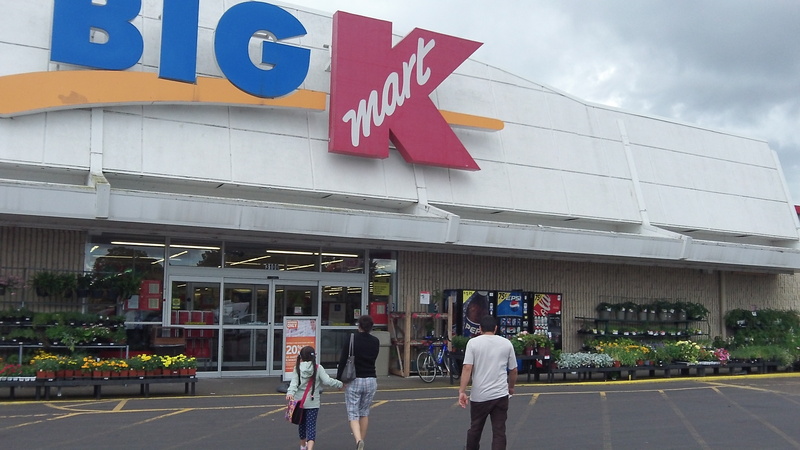 People won’t be able to shop at K Mart after September. There’s been a K Mart at the site on Pacific Boulevard since at least the 1970s. Bummer about KMart….more jobs leaving. Well…crap. Hate to see KMart leave as they carry larger sizes. A sign of the times….if they were busy and profitable, they would stay. I like Lowe’s and look fwd. to them opening. As far as ammending the agreement….why ? Seems like Government always wants to take it up the financial tail pipe. Thanks for all the news Hasso ! 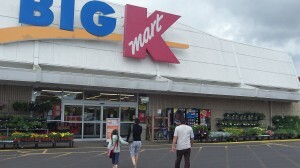 Kmart is closing after our illustrious mayor has taken roughly 24 million in CARA monies out of the local economy to effect a fictitious 150 jobs!? I’ve got the solution to woo Kmart back! Using a mulitplier of 10 – we need to let our mayor take 240 million out of the local economy so we can generate 1500 fictitious jobs! We just need to spend more! That oughtta do it! Assuming it’s a 180 day delay, that’s only $180,000. Chump change for a company the size of Lowes. Wanna bet the city “caves in”? It’d be in the city’s best interest if Lowes took 5-1/2 years to open! $1000/day to squander on their “pet projects”. Think how smug the city council could feel about that!